Predictability in cost and schedule outcomes is a key financial objective for capital project systems. The primary measure of predictability is accuracy; it measures how estimates differ from the final actual outcomes. Unfortunately, accuracy in funding estimates in the construction arena has been elusive. Despite over 50 years of research, most companies are unable to quantify risks realistically. The cause is simple; traditional risk quantification methods have no empirical basis. This chapter is about empirically-based parametric modeling of “systemic” risks. Systemic risks are attributes of a project system and they are the dominant driver of project uncertainty. 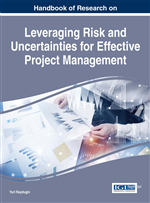 There are a number of reliable methods to quantify project-specific risk “events” and conditions and escalation and exchange risks. While those are the topics of other chapters, this chapter describes how to integrate the parametric method with those. Working together, those risk quantification methods can realistically predict the “usual” project cost growth and schedule slip. Before describing empirically-valid risk quantification methods, I will describe the traditional risk quantification methods that empirical research shows do not work when significant systemic and/or complexity risks are present (the majority of large projects) (Juntima, 2004). The most common method is still “rules-of-thumb” where 5 to 15% contingency is allowed for with about 10% being the de facto standard; most projects do not apply probabilistic models. Rules-of-thumb work when the only risk or uncertainty is “variability” in practices or when the base estimate without contingency is over-estimated which is common for small projects. This method adds no value to investment decision making because it assumes every project alternative’s risk profile is the same.